Our role is to make sure we have the financial runway to carry out our company’s mission. In the last two years, La Jolla Pharmaceutical Company has grown substantially. It is already a public company with shares traded on NASDAQ, and has a variety of drug development projects in progress to help patients suffering from life-threatening diseases. For La Jolla, it is imperative to have the best and brightest conducting research and managing clinical trials, as well as strategic financial processes and tools in place to successfully evolve from research and development-focused organization to commercially thriving business. La Jolla Pharmaceutical Company (NASDAQ: LJPC) is a biopharmaceutical company focused on the discovery, development and commercialization of innovative therapies intended to significantly improve outcomes in patients suffering from life-threatening diseases. The Company has several product candidates in development. Make a difference in your company's methods for financial planning. Test Adaptive Insights free for 30 days. These are exciting times for the biopharmaceutical industry. Companies are in a race to develop ground-breaking therapies and get to market first. And while it is imperative to have the best and brightest conducting research and managing clinical trials, firms also must have the strategic financial processes and tools in place to successfully evolve from research and development-focused organizations to commercially thriving companies. It's a challenge that Bryan Williams, associate director, strategic planning and analysis at La Jolla Pharmaceutical Company, understands well. In the last two years, La Jolla has grown substantially. As the company continues to grow and develop innovative therapies, Williams is helping to ensure success at La Jolla by establishing strategic FP&A processes supported with the Adaptive Insights Business Planning Cloud to automate every step in a collaborative FP&A process—planning, monitoring, reporting, and analysis. The immediate results of this effort provide critical insights that leaders across the company need to clearly understand how—and why—the business is evolving. "As a clinical and early stage development company, we look at what the various functional areas are planning to do and then analyze financial and non-financial information in order to translate that into a budget or a forecast," said Williams. "Our role is to make sure we have the financial runway to carry out our company's mission." Williams has an extensive background working in large companies where he not only managed planning but also did financial modeling, risk analysis, and strategy. It didn't take long for him to realize that with La Jolla morphing into a larger, more complex organization, finance needed a more automated, intuitive set of software solutions to not only plan but successfully manage the business. "I've used a myriad of FP&A applications in my other positions, and I knew we needed a flexible, more robust solution to take us out of living in Excel for our planning and analysis," he said. 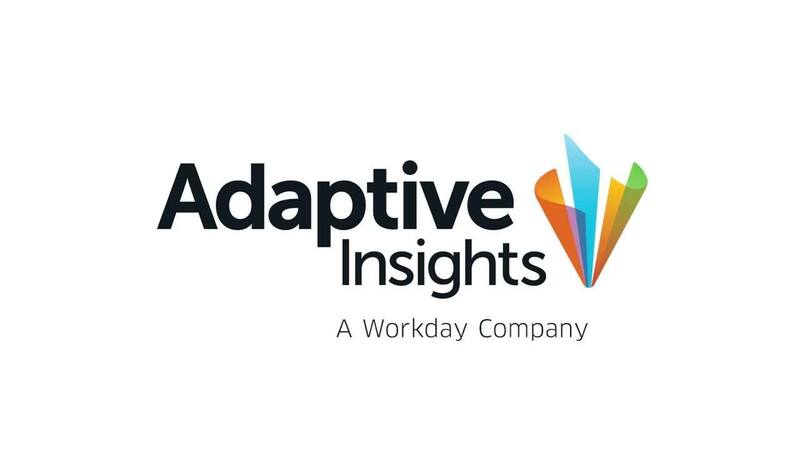 "With Adaptive Insights, I saw the product functionality and I knew it would work for us." Today, Adaptive Insights is at the center of La Jolla's financial performance information. It is used for timely budgeting and quarterly forecasting of costs and expenses, and internal reporting of balance sheet, cash flow, and income statements. It's enabling an organization of scientists and clinicians to gain a deeper understanding of how their work and plans relate to financial performance, and driving the cultural change to performance metrics and cost savings. For reporting automation, using OfficeConnect has earned high marks by greatly streamlining quarterly board reporting. It used to take the finance team days to build the board reporting pack with all related financials, personnel plans, and the 24-month forecast. Now, all board package templates are automatically refreshed with the latest data whenever needed. OfficeConnect also automates monthly variance analysis reporting. "Because of OfficeConnect automation, we're in the position to streamline our monthly variance reporting. It's allowing everyone to be so much more aware and engaged now in managing performance on a timely basis and understand how their plans are performing from a financial perspective. " Williams believes one of the biggest benefits of using a cloud-based business planning solution in the biopharmaceutical industry is that it affords great flexibility and can adapt to meet the changing needs of the business. "Finance is the guardian of the information that informs how we advise the rest of the organization and make decisions. Our next move is a more pervasive use of analytics with Adaptive Insights," said Williams. "We know that a year from now we'll have evolved into a completely different organization, and our role in finance will continue evolving to guide our changing business. We‘re adding real value and insight." Finance is the guardian of the information that informs how we advise the rest of the organization and make decisions. Our next move is a more pervasive use of analytics with Adaptive Insights.